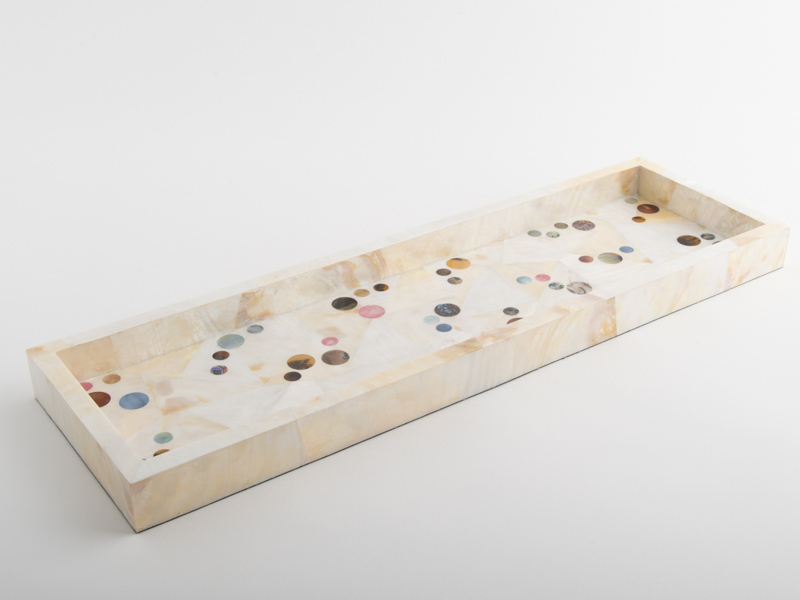 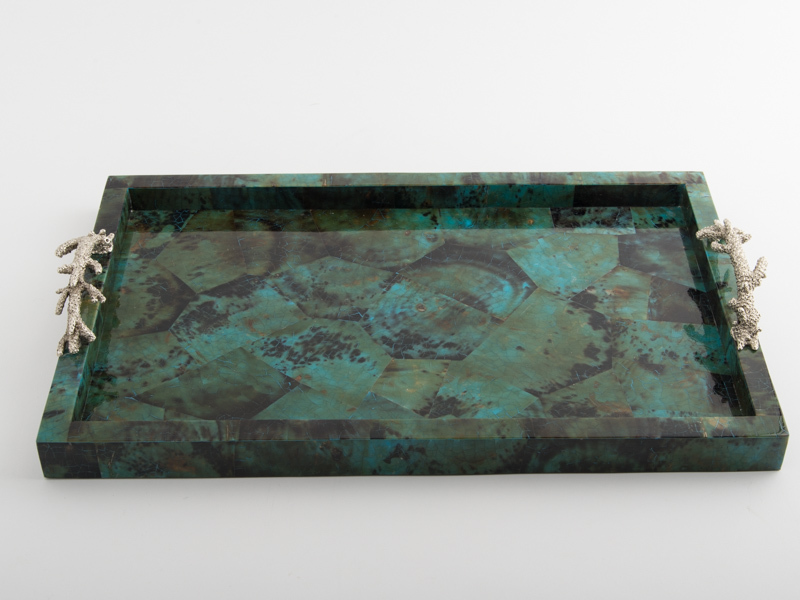 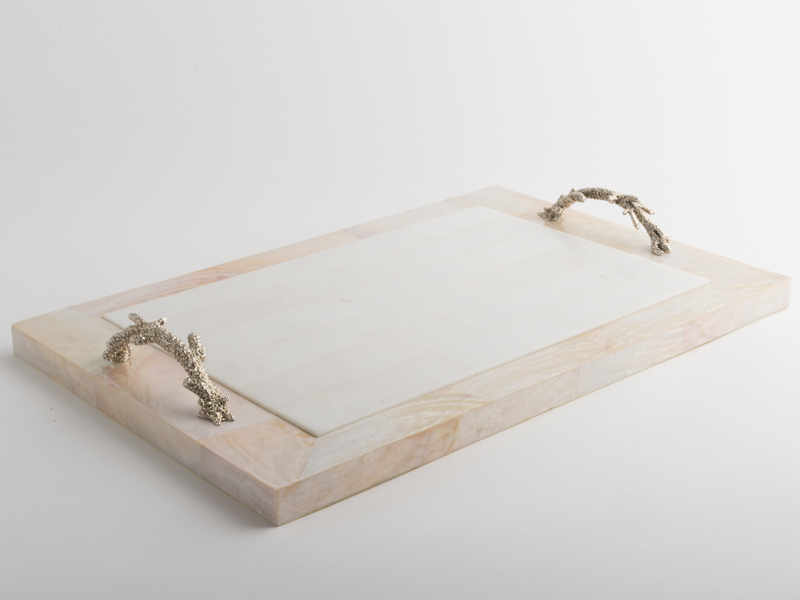 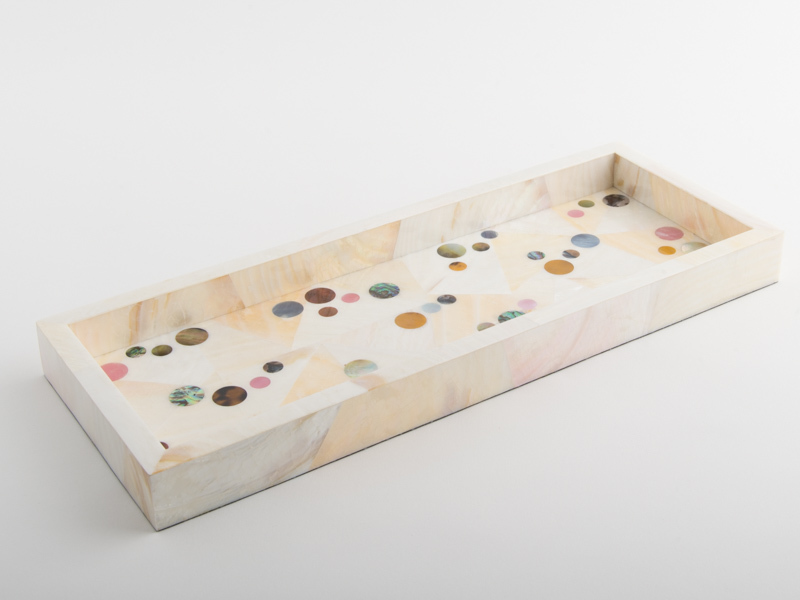 The marble cheeseboard is surrounded by a frame of cream kabibi shell. 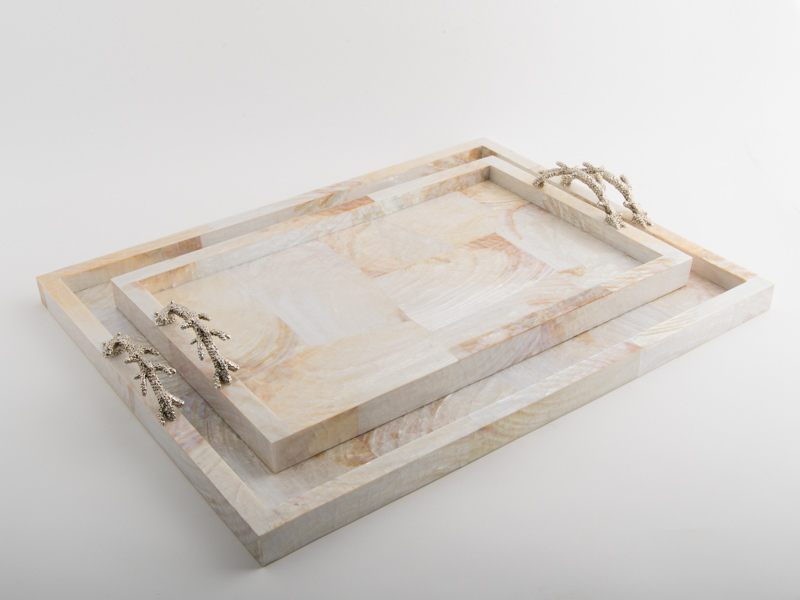 The silver plated coral handles are formed in brass. 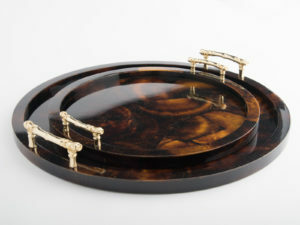 This versatile and beautiful cheeseboard will embellish any dining table.